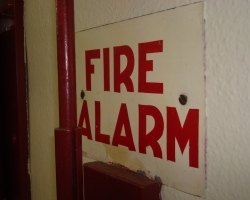 Most fire alarms are identified with posted signage. 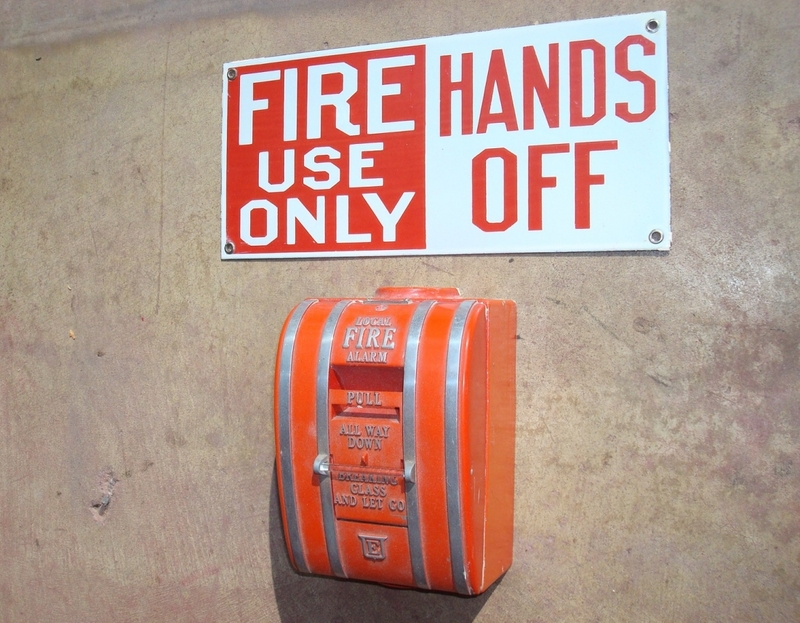 Some signs simply say, FIRE ALARM, where others give instructions on the proper use or location of a pull station. 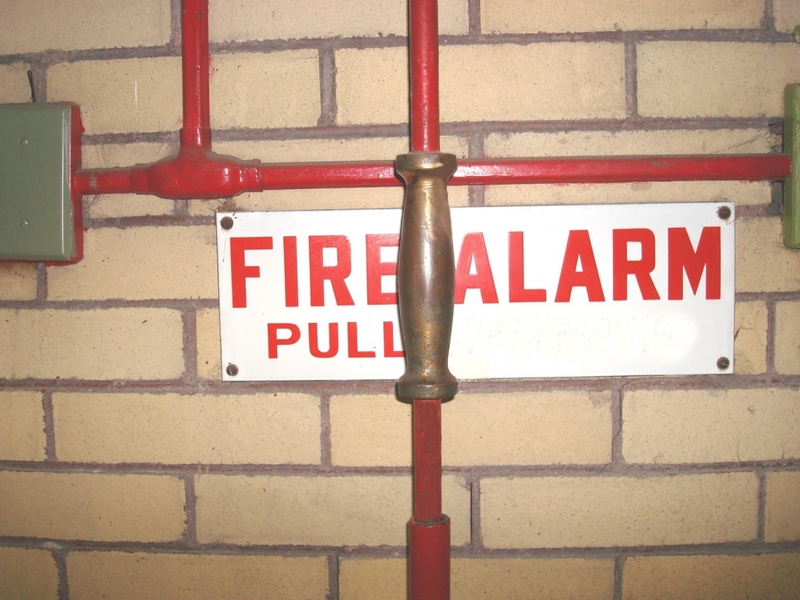 The signs can be found in various sizes and shapes, but usually square or rectangle signs are the most common. 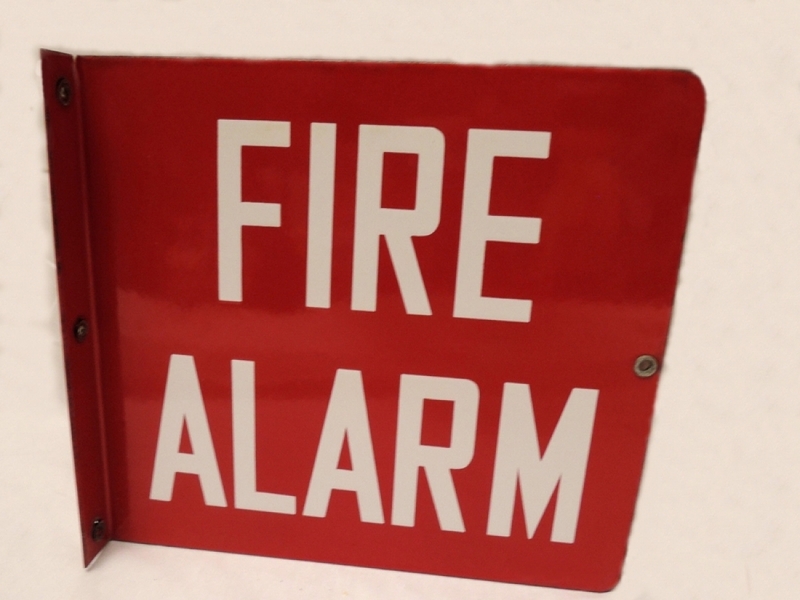 From cheap signs made out of cardboard or plastic, to more expensive ones made with metal and glass; fire alarm signage is manufactured from a variety of materials. 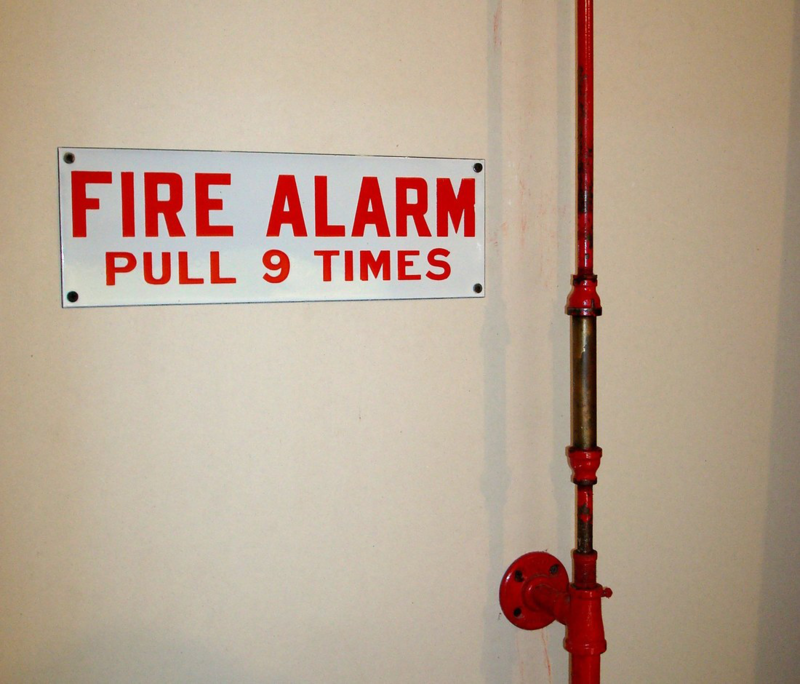 Starting in the late 1800’s until the 1950’s, posted next to many pull rod fire alarms were porcelain enamel signs. Brilliantly colored, flint hard, and smooth as glass; porcelain signs are extremely durable, which is why they were so popular and commonly used. Porcelain signs were originally made with stencils and later using a silk-screen process. Layers of powdered glass would be applied that was then painstakingly fused onto a base of heavy rolled iron or steel using extremely high heat. 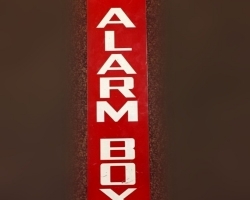 This technique of sign making originated in Europe and was later imported to the United States. 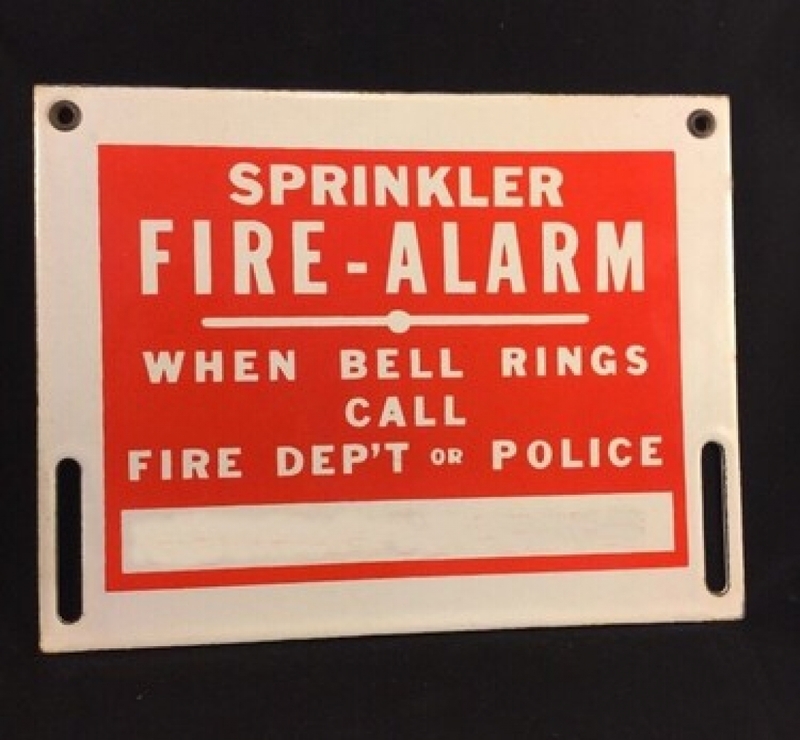 Today porcelain fire alarm signs are rare, making them highly collectable, especially with fire memorabilia enthusiasts. 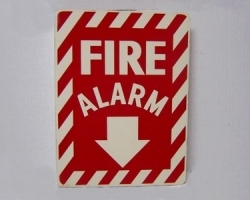 Another type of sign you may find posted next to old fire alarms are lighted glass and/or illuminated glass signs. 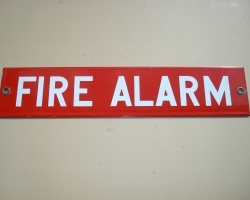 These types of signs, if one sided, would be mounted flush to the wall with a light behind the glass illuminating the letters, FIRE ALARM. If the sign was double sided, it would be mounted horizontally, projecting out from the wall. A light would be installed between the two panes of glass hence, allowing one to read the sign from either side. 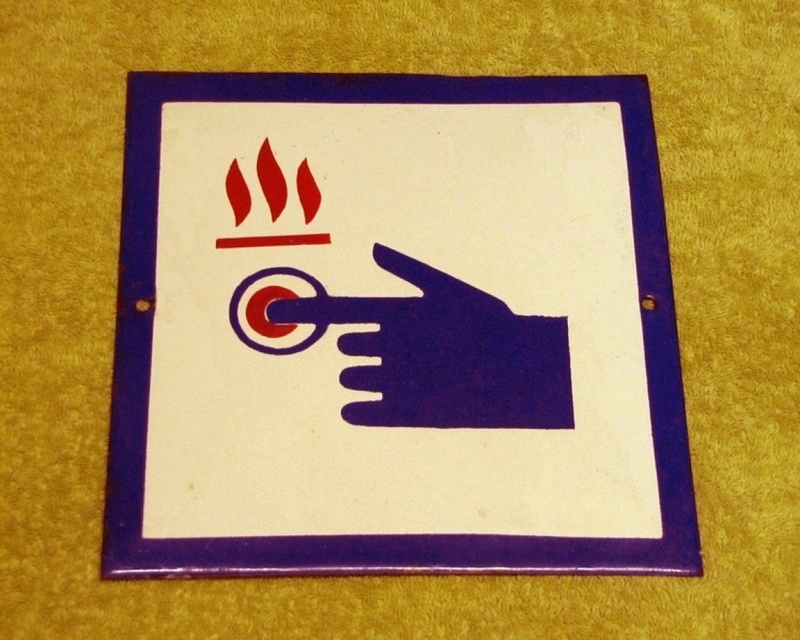 Due to their cost and maintenance, lighted glass fire alarm signs were far less common. Unlike so many of the cheap signs made today, the vintage signs displayed on this page were superior in craftsmanship and materials. 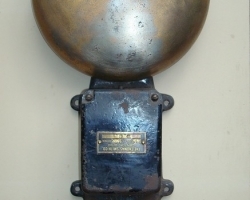 They were from a time when things were made to last and people took pride in their work. 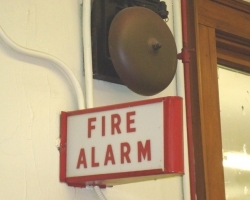 If you have questions or want further information regarding any of the artifacts seen on this website, please contact Old School Fire Alarms.